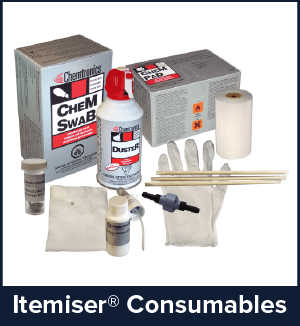 TSA Trace is proud to offer high-quality ETD consumables that are made by the Original Equipment Manufacturer (OEM) for Itemiser explosive trace detection machine. 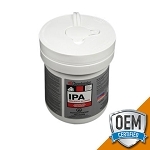 As the intellectual property owner, the original manufacturer is the only one able to produce consumables that are created directly for the Itemiser DX and unlike other consumables, won’t risk compromising the explosive detector or its results. Rapiscan Itemiser consumables are expressly made to maximize performance of Rapiscan trace detectors. 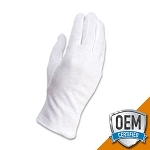 They will work exactly as the ones you are replacing and provide a peace of mind in their familiarity and performance. 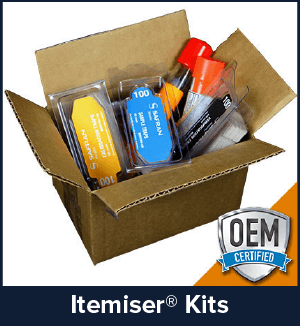 Itemiser DX Kits & Accessories: TSA Trace consumable kits are designed to provide all the necessary supplies for operation of the Morpho Detection Itemiser DX. 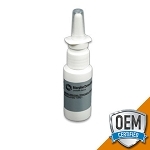 Our most popular accessories are hand wands for collection of samples and the money saving canless air system. 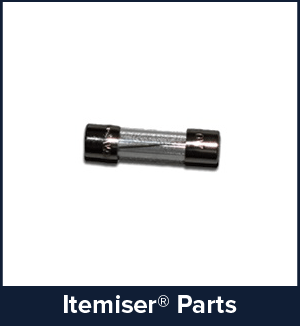 At TSA Trace, our Itemiser DX consumables are manufactured with the best materials possible every time and are designed to optimize explosive trace detection equipment performance. 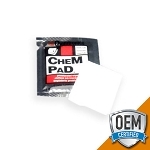 Our products are backed by the original equipment manufacturer (OEM) for consistent performance and peace of mind in their familiarity and quality. 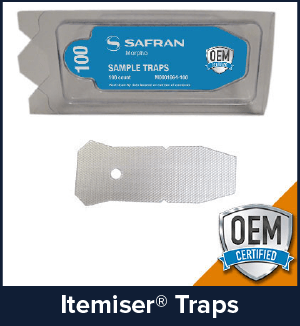 OEM quality Sample traps are designed to collect sample particles for analysis by the Itemiser ETD equipment. Calibration and verification are uniquely optimized to minimize clearing times that may render machines inoperable. 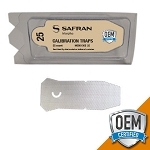 Sample, Calibration and Verification swabs are made of high-quality Teflon coated fiberglass material. Because TSA Trace cosnumables fit better, function more cleanly and are made with top quality materials, you can count on them. Rapiscan Itemiser DX, which is used both in private industry and government settings such as airports and CCSP facilities, has been a recognized leader in the ETD Explosive Trace Detection field for nearly ten years. According to the highly regarded GE Security White Paper entitled Ion Trap Mobility Spectrometry: The Science Behind the Technology, trace detection captures and analyzes the microscopic particles and vapors naturally emitted by organic substances. 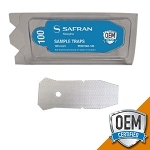 Trace samples are collected by wiping surfaces suspected of contamination using a Sample Trap as the collection medium. Ion Mobility Spectrometry (IMS) identifies compounds based on the amount of time it takes for ionized molecules to pass thorough an electrified filed in a tube. This time, sometimes called “drift time” is then compared to a database containing the transit times of known compounds, making it possible to distinguish the target material from other molecules. The technology employed by the Rapiscan Itemiser DX explosive trace detection machine is called Ion Trap Mobility Spectrometry and improves on the IMS technology by eliminating the shutter grid and the associated loss of ions and sensitivity allowing a much greater number of ions to enter the drift tube. Additional documents and Morpho Itemiser DX manual are available on request for detailed information. The Itemiser DX has automated calibration, quick analysis and simultaneous dual mode detection. Learn More About This Equipment.